BrickYork Fire Dept - Emergency Bricks! building Lego,watching movies, hanging around my friends and family, playing sports. 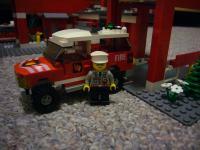 Happy Birthday BrickYork Fire Dept!